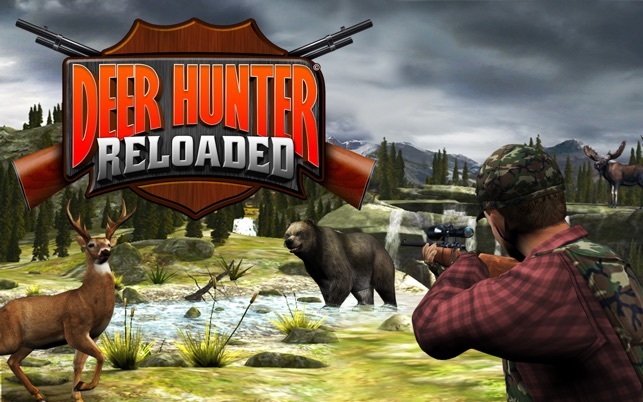 As far as hunting games go, Deer Hunter Reloaded is a poor excuse. 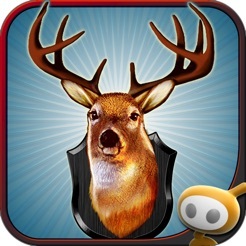 "Deer Shooting Simulator" would be a more accurate description. 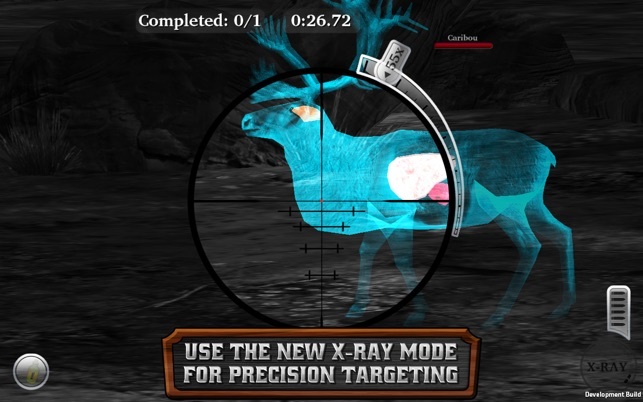 The actual hunting aspects that make or break a true hunting sim have all been stripped away. 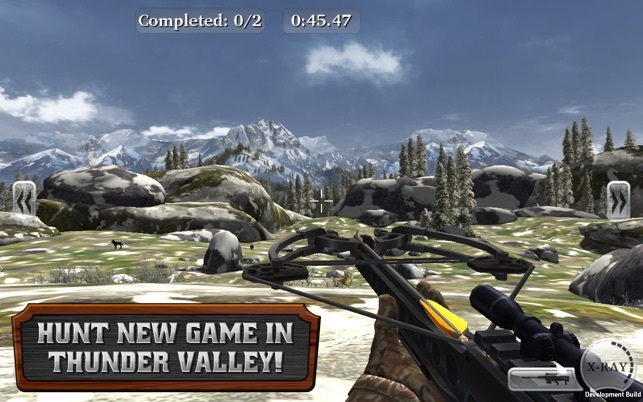 While this would be acceptable for a free trial of a full game (which I could see this being), Glu Games took the "Free to Play" model and made this an incredibly dissatisfactory game. All upgrades beyond the basic first few have to be bought using the premium currency, which makes their "Hunter Bucks" worthless after a few playthroughs (which makes level rewards completely pointless very quickly). Even support items that other "Free to Play" titles provide the option for players to acquire through skill OR money, can only be bought through this premium currency. What's worse, the premium currency can't be bought with anything but real money, extortionary levels of real money. 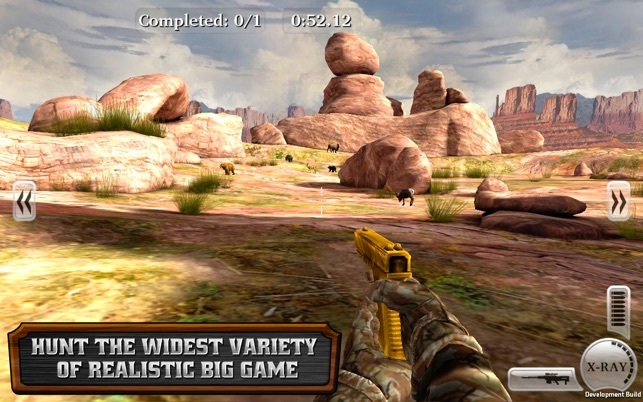 You'll soon find yourself investing hundreds of dollars into this game in the vain attempt to make it worth your time. While I normally don't mind the "Free to Play" model, Glu Games has created the perfect storm of everything that is wrong with it. The Game itself is good. Ok graphics and challenging hunts. 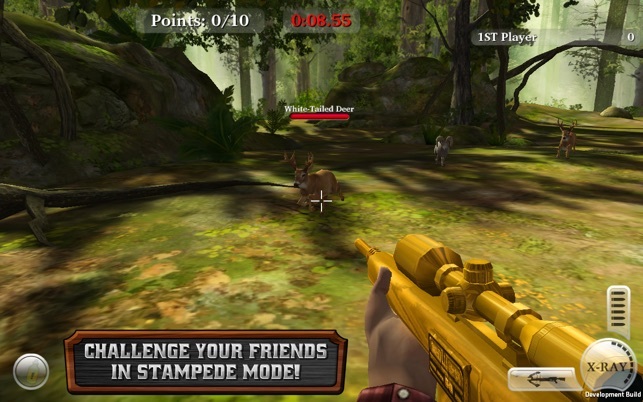 Might be more fun on the Mac, if the animals attacked like in the iPad version. The use of in-app purchases however has turned me off to the game. To obtain better scopes and rifles, etc., you must make expensive purchases of credits (gold) that do not go very far . You earn "in game cash", but for the most part there is nothing that you can use it for. You must buy "gold" with real money to purchase upgrades. 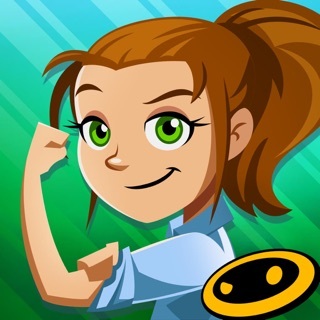 To make the game more entertaining and engrossing for the player, the rewards earned should equal a payout for the player (ability to use their achievements). Allow for exchange of "in game cash" to be exchanged for "gold" to buy upgrades. Like I said, the game is good, its the rewards system that allows for advancement in the game that is flawed! For this reason I gave it an OK rating vs. I didn't like it, because I like it but it cost too much to keep playing. I've gotten to level 45 without purchasing anything. There was a little bit where I wasn't able to pass a level completely because I didn't have the right gun and I couldn't buy anything because I didn't have enough money from the hunts. I got it eventually and have the best gun you can buy without spending any real money on gold. The game keeps on asking if I want to buy another gun even though it's inferior to what I have. The game lets you try some guns out for free sometimes to try to get you to buy it. I'm starting to get board with what I have. The next upgrade I need costs a lot of gold and I only have 100 right now. I've boughten all that I could with the money I get from my hunts and can't buy anymore. I continue to go on hunt but now I have almost a half million dollars from them and nothing to buy because I don't want to purchase gold. Time for a new game.